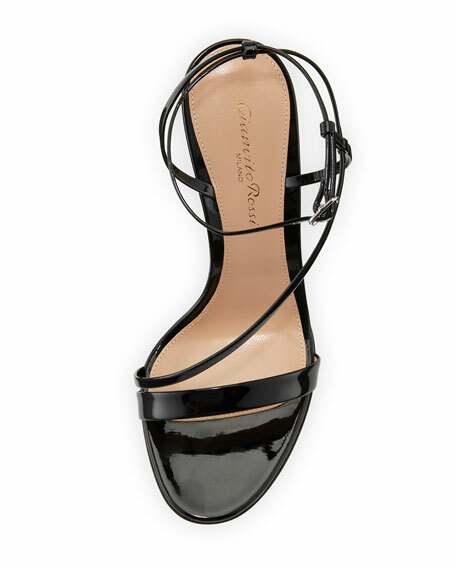 Gianvito Rossi asymmetric strappy patent leather sandal. "Carlyle" is made in Italy. For in-store inquiries, use sku #1804867.